More Than a Day, More Than a Word by NobleLandMermaid Rated: MA [Reviews - 18] 30 New! Pam Beesly really likes Valentine's Day. Well, mostly. A look at Valentine's Days through the years with Jim and Pam (from Pam's POV). Valentine's Fairy Godfather by Kuri333 Rated: T [Reviews - 7] 8 New! An AU version of season 2's "Valentine's Day". Pam is more than a little annoyed and Jim steps in. Holiday fluff ensues. V-J Day by Comfect Rated: T [Reviews - 6] 11 New! Summary: An AU look at Valentine's Day, Season 2. Rating is entirely for the couple of swear words. 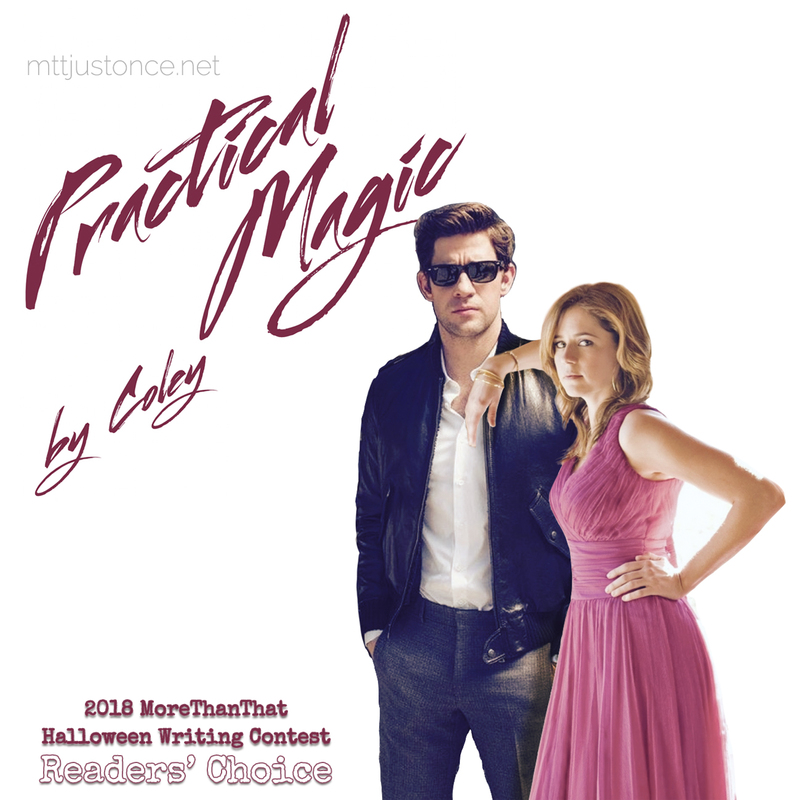 Chaotic Christmas by Coley Rated: M [Reviews - 4] 8 New! An office party is not an excuse to get really drunk, or confront someone, or have a cathartic experience of any kind. Also, Pam won't tell Jim what her favorite Christmas song is. The Perfect Ingredients by miserycrush Rated: K [Reviews - 4] 3 New! Note: not eligible for prizes in our Halloween contest, just writing for fun! Summary: Pam finds herself solo on Valentine's Day and attends a "Singles Only" party with Jim. Set pre-cameras. Summary: Her room is filled with colors,painted with the mess that she creates.Her room is always filled with her drawings,not on the walls but in corner ,in one pile stacked on top of one another ,or scrunched in a ball because they were just not good enough,at least not yet. The Office meets Parfumerie/She Loves Me/Shop Around the Corner/You've Got Mail. Pam and Jim meet earlier in life in AOL trivia chatrooms without knowing who each other are. In addition to the above-mentioned sources, also owes a lot to a number of fics on this site, most notably Expressions in Emoticons and the Love-Song of Squirrel McPants. Now Complete: AU, starting before S1 (and thus also a Prior Meeting), running into S2. Summary: Pam meets the parents. Musings based on the kilt Jim's dad would later wear to their wedding. Set between seasons 3 and 4, a couple of weeks after their first date. Jim helps Cece and Philip create art for Valentine's Day. Things get out of hand.